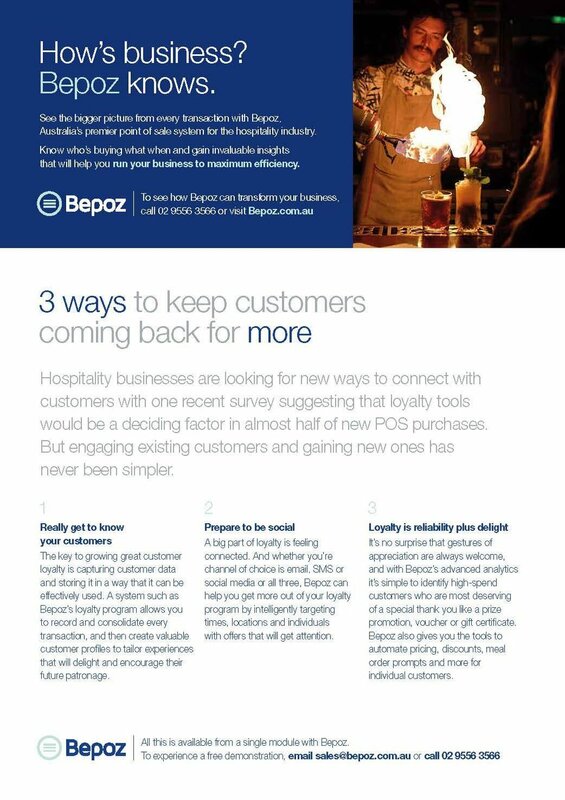 Bepoz is a 40 year old business who have a market-leading SaaS point of sale solution that provides a complete business management capability to the hospitality industry. Their Australian-developed solution can allow hotels, bars, restaurants and resorts to control all aspects of their business, from till, to staff communications and marketing. Despite a great product Bepoz had a tired brand and lacked awareness, challenging plans for the retiring board of directors to exit the business. Update the brand to make it easier to sell. Bepoz were able to communicate how effectively their POS solution helps business owners get both a sense of how well their business is operating, and also how and where it could be made more effective. Following on from the rebranding and the update to the sales material, Bepoz were successfully sold to one of their reseller businesses.